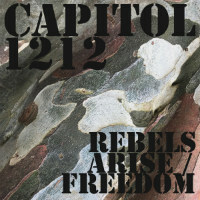 New material from Capitol 1212 then, in the form of new digi-single Rebels Arise/ Freedom. It’s something of a vocal ‘rasp-off’ as Blackout JA and Clinton Sly go head to head to see who can muster the most grit. Blackout wins hands down of course – but then he is now sponsored by Draper and Toolstation for his voice’s use in the surface modification industry. 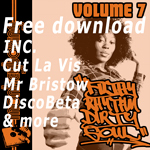 Despite this victory, both toasters actually acquit themselves most ably over rootsy grooves which – as the titles imply – advise resisting Babylon. Incidentally, these cuts were recorded in the same session that resulted in Capitol 1212’s genius reggae cover of Joy Division’s Love Will Tear Us Apart from October. Cop ’em now on a name your price’ deal!